Just finished reading this book and liked it very much! For the last couple of years I have not read any new good horror novel, except of this one. Look forward to starting “The Darkest Lullaby” asap. 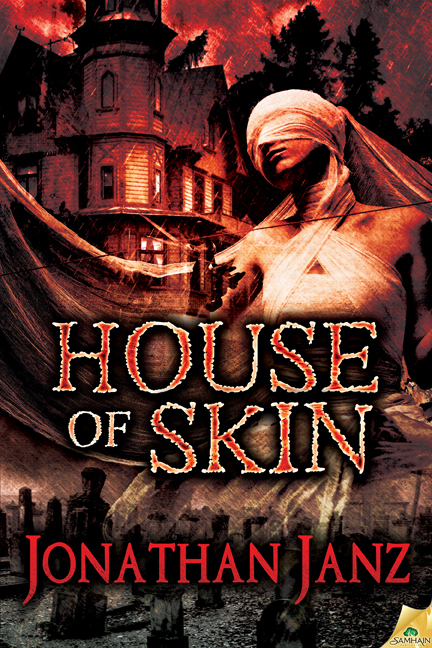 Yuriy, I’m delighted that you enjoyed House of Skin! If you liked that one, I’ve got The Sorrows already out there (and it has an interesting connection to House of Skin), The Darkest Lullaby (which you kindly mentioned! ), and another coming in June titled Savage Species. Thank you for your reply, Mr. Janz! Definitely, I will read both The Sorrows and The Darkest Lullaby. I will also read Savage Species as soon as it becomes available. I have been a big fan of horror books/movies for 20+ years and I am very glad I discovered new bright author! Oustanding! Thank you very much, Yuriy. It sounds like you and I have similar taste in books and film. Also, be sure to wait to get the first installment of Savage Species (it’s a serial novel with five installments) until it shows up on Amazon for free. I don’t want you to have to pay for it when it will be available free of charge any day now. Great news, thanks a lot! I will check Amazon every day for Savage Species. Look forward to readig it!